Destiny 2 has been keeping Guardians extra busy with its game-changing Forsaken expansion this week, after releasing last Tuesday, but Bungie has one final card to deal before players can make up their mind about how this DLC stacks up against previous add-ons in the Destiny timeline. The Last Wish raid is Forsaken's big, final end-game content; a giant dungeon filled with untold fortune for those wishing to brave its series of puzzles and combat trials. True to Destiny form, very little is known about what awaits players in the raid, but Bungie has provided details for Guardians to prepare in advance. Here's what we know so far. Destiny 2 Forsaken Raid start time: When does it all kick off? The Last Wish raid will become available to play on Friday, September 14 (i.e. tomorrow! ), beginning at 10AM PST/6PM BST. It's unknown whether there'll be a patch or update needed to download beforehand, but otherwise, Guardians are free to begin raiding from that time and date onwards. What is Destiny 2 Forsaken raid level recommendation? While Bungie has yet to officially reveal any details, Destiny 2 data miners have discovered that you'll need to be at least Power Level 520 to even enter The Last Wish raid, but the recommended amount is 550, which is the advised approximation for a good chance at completing the entire thing. If you're struggling to reach that threshold right now, here's a Destiny 2 best weapons guide (updated for Forsaken) to help upgrade your Guardian in time. How do I get into Forsaken Last Wish Raid? Well, first of all, you'll need to own both Destiny 2, its Curse of Osiris and Warmind DLCs, and the recently released Forsaken expansion. 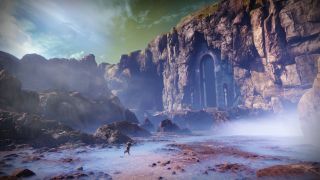 From there you'll need to have completed Forsaken's campaign (check out our Destiny 2 guide for walkthroughs to each mission) and unlocked the Dreaming City, which is where you can manually enter the Raid at the Divalian Mists section of the map. Of course, it's going to be very difficult to play the raid without three other Guardians beside you, so best to team up, or find a group to team up with if you intend to come out alive. And that's about it for now. Once Guardians discover The Last Wish for themselves, we'll learn more about how to master its challenges and tricks, as well as what it takes to defeat the final boss. Will Cayde-7 be awaiting us inside? Probably not, but this grieving Exo Titan can hopelessly dream until we know for sure. Destiny 2 is on the list of our best FPS games of all time. Find out which other shooters made the cut.